Wiko 24v / 250w audio / video incandescent lamp. 1,900 pieces available. NSN: 6240-01-049-0969. 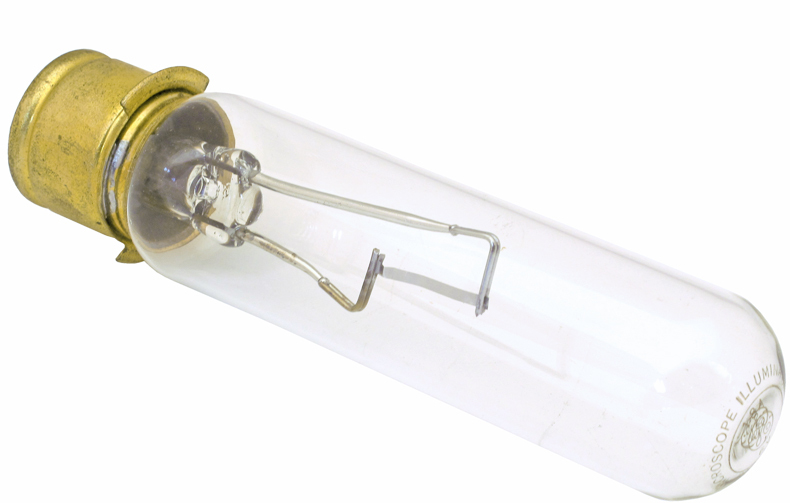 General Electric xenon cool beam compact source arc lamp. 500 watts. 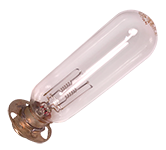 General Electric 6v / 108w projection lamp. T-10, P285 base (28A medium). Base down. Alt P/N's: 18A-T10, 18AT10/1P, 18A/T10/1P, 18A/T10/1, 18AT10.1P. Kenrad 120v / 300w projection lamp. T-8-1/2, single contact bayonet base, C13 filament. 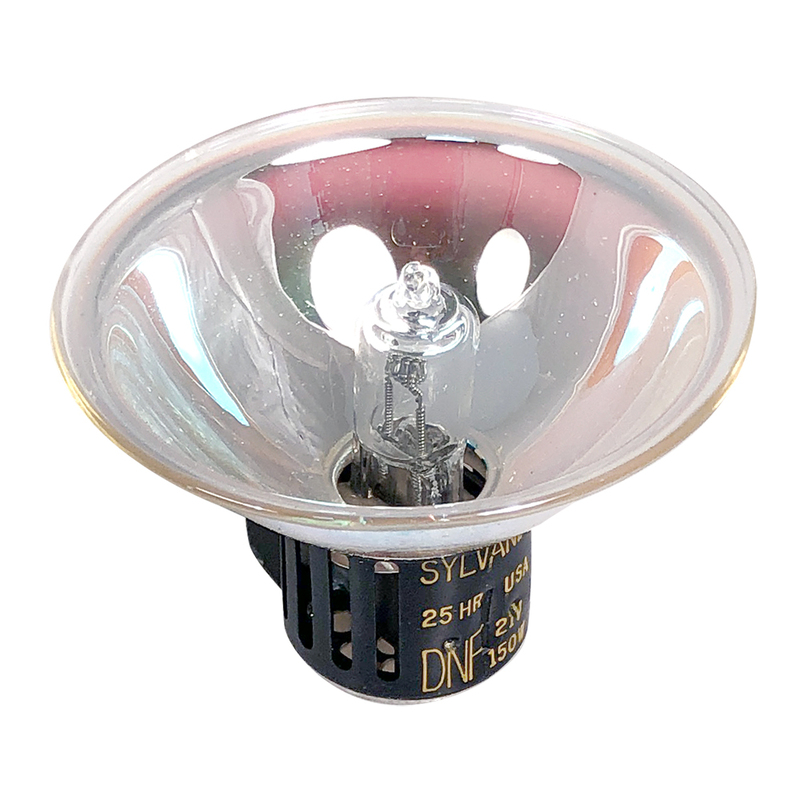 Sylvania projector lamp. 120v, 750 watt. Incandescent lamp. 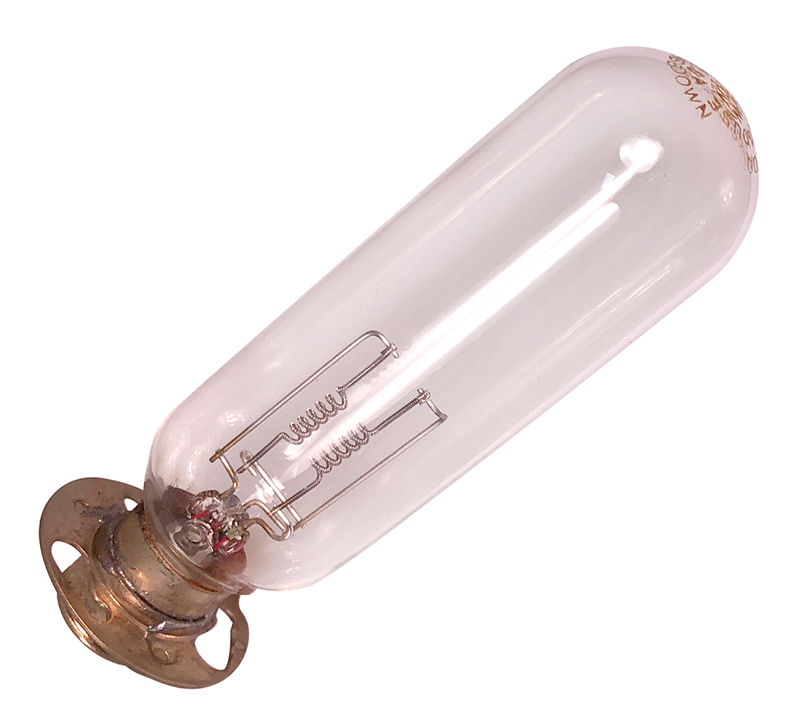 0.20 amp, T5 bulb, 7 volt. D.C. PF base, clear. NAED 3168-39711-8. General Electric / NC. & specialty projection lamp. 120v, 300 watt. GE order code: 29525-5. GTE Sylvania projector lamp, Blue Top. 120v, 300 watt. 41 pieces available. General Electric photo projection lamp. 115v - 125v, 750 watt. GE order code: 29530-4. General Electric photo projection lamp. 120v, 500 watt. GE order code: 29664. General Electric projection lamp. 115v - 120v, 500 watt. For movie and still projectors. 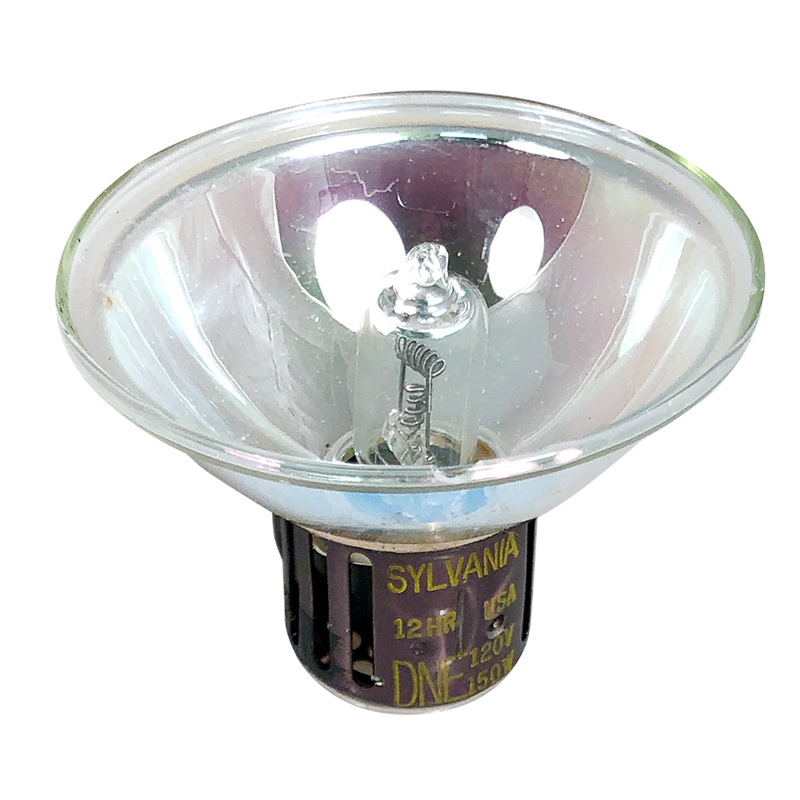 Sylvania projector lamp. 120v - 125v, 750 watts. General Electric photo projection lamp. 19v, 80 watt. GE order code: 42806. General Electric photo projection lamp. 20v, 150 watt. GE order code: 43537. General Electric projection lamp. 20v, 200 watt. General Electric projector lamp. 115-125v - 750 watt. 20 pieces available. 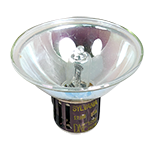 Sylvania blue top projector lamp for movie and still projectors. 120v, 1000 watt. 25 pieces available. General Electric projection lamp. 21.5v, 250 watt. GE order code: 29454. Sylvania projection lamp. DNE. 120v, 150 watt. Genuine Sylvania projection lamp. DNF. 21v, 150 watt. General Electric projection lamp. 120v, 1000 watt. GE order code: 29979-4. (T20ZR6). General Electric projection lamp. 120v, 600 watt. GE order code: 29598-7. General Electric projection lamp. 120v, 600 watt. GE order code: 32071. General Electric projection lamp. Tungsten halogen. 120v, 500 watt. Average life = 50 hours. GE order code: 54585-3. General Electric projection lamp. Tungsten halogen. 120v, 500 watt. Average life = 200 hours. 3200k. 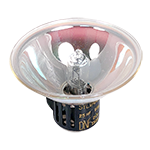 Sylvania 250Q / CL tungsten halogen lamp, for professional lighting systems. 120v, 250 watt. 2,000 hour. 12 pieces available. General Electric projection lamp. 19v, 80 watt. GE order code: 34088-6. General Electric projection lamp. 24v, 250 watt. GE order code: 40017. General Electric projection lamp. 120v, 650 watt. GE order code: 30325-6. General Electric projection lamp. 120v, 420 watt. GE order code: 29581-9. GTE Sylvania tungsten halogen projector lamp. 120v, 600 watt. 24 piece available. Westinghouse projection lamp. 120v, 300 watt. T8 - 1/2 bulb. 2CC8 filament. 1-1/16" x 3-1/2" envelope. Colortran "Quartz" lamp for Colortran lights. Tungsten - halogen. 1000 watt, 3200k, 120v.